Rent or Buy 'My Vacation In Cincinnati' - the hit dramedy adventure Available exclusively here. For a limited time. 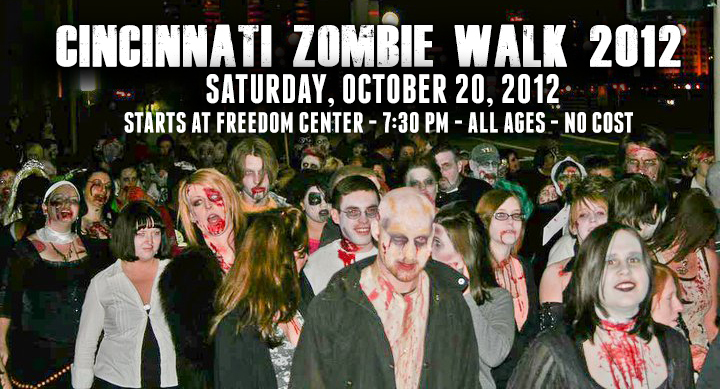 Put on your Halloween hats and take a walk with zombies in our latest ‘green clips’ Cincinnati Zombie Walk 2012 motif. And let’s be honest here: Times have changed and people still can’t get enough of zombies! So much to the point where it seems to be a favorite amongst several Generation X. 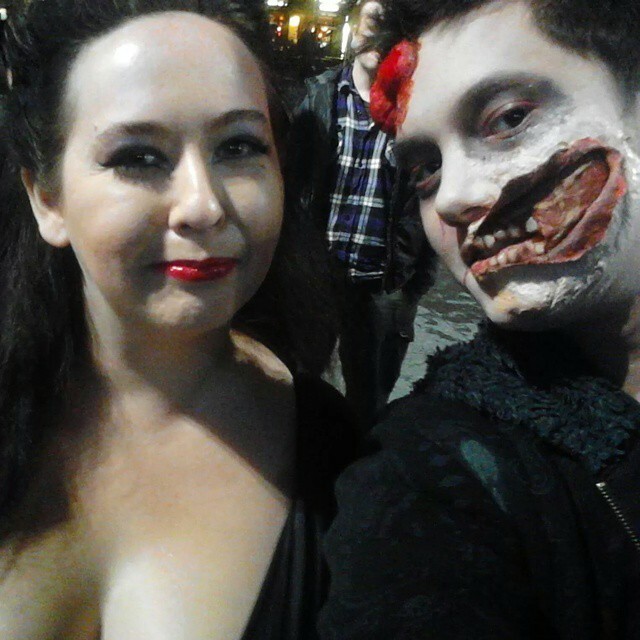 Whether you love the blood, gore, pretending you’re dead, the amazing (or silly) makeup effects, or maybe you are annoyed that people are literally becoming zombies in our society. 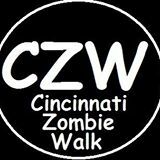 Well one things for sure, you can’t deny a Zombie Walk isn’t super badass and this one in Cincinnati, OH features Resident Evil favorite baddie Nemesis with giant guns and a group of the S.T.A.R.S. – a team of people who base their life to destroy zombies (no joke!) as they fight them off at Fountain Square! There are 37 various videos shot with the Sony Handycam here to check out. An edit was supposed to be made by the S.T.A.R.S. leader, but it’s been 3 years now so we decided it would be a good idea to upload all the raw clips so our viewers can get a first-hand look at what the Cincinnati Zombie Walk 2012 was really like! What was your favorite costume, makeup SFX or moment? Comment below and be sure to check out our movies, skits, music videos, live performances, celebrity encounters, LA life, web series’ and more! Have a Boo-tiful Halloween month! And don’t be a zombie more than a month, okay?! (All footage respectfully the rights of Anthony T. Tran.) Hematosis tears up the stage and features Rocky Doll & Rev-D. Check out the music video the S.T.A.R.S. was a part of and even includes a small bit of the back of Trippy T at the end as a member shot at The Thompson House where critically-acclaimed My Vacation In Cincinnati was filmed. Check out the music video below. Here at Trippy Tran Films, not only do we specialize in making unique movie projects (“Wreckfest” anyone? ), we have filmed commercials, weddings and live music from the underground to celebrity artists. View artists/bands on the “Obliquity” soundtrack here. Check out our list of videos featuring music from several bands/artists – now including our newly releases sessions of Silversun Pickups’ Brian Aubert and Morning Parade performing an exclusive acoustic set at iHeartRadio in Cincinnati, OH. Please subscribe to both of our channels YouTube.com/TrippyTranFilms (professional) YouTube.com/TrippyTran (skits, bands and more) for more videos! “Like” and Share your favorites! All video work by Anthony Tran of Trippy Tran Films. *Artist names with stars* have additional filming by Trippy Tran Films’ crew. Read about how Tran met Jay Gordon in Los Angeles here. With lyrics and review to the Talk Sick EP. Performing original music live video – coming soon! See Tran hanging out with the band and actress Tia Casey for a Superhero Birthday Party! Silversun Pickups (Brian Aubert Acoustic Sessions & Live Band) – NEW! EXCLUSIVE PERFORMANCE! See a bit from their show below! See Rory and Brad perform “In The End” at karaoke. See 2 more rehearsal videos on our channel! Thanks for 10K views on “Venus”! More from KY Kingz with full concert vid coming soon! 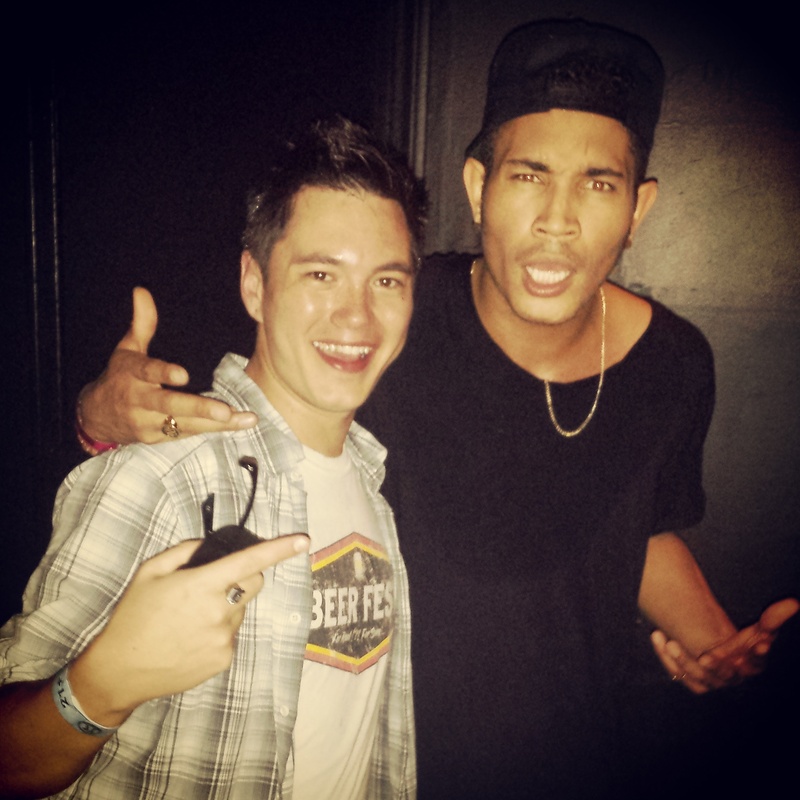 Tran met Bryce Vine! Check it out! See LA Boy and the Tran Man hanging out! Watch the 2012 music video! See them perform live in My Vacation In Cincinnati available to rent or buy here. Full live video performance at the Greater Miami River Days festival coming soon! R.L. Grime (VOID Tour VIP) – coming soon! Check out our live Hard Summer music festival compilation from summer 2013 featuring Crystal Castles, 2 Chainz, Zedd, R.L. Grime, Flosstradamus, Dillon Francis and more! Thanks for checking out Trippy Tran Films! Please Subscribe to this page and at YouTube.com/TrippyTranFilms (professional) YouTube.com/TrippyTran (skits, bands and more)! Browse this site for our original 7 short films and 2 feature films, plus a whole lot more! ©2015 Trippy Tran Films, LLC. Be The First To Know When All 7 Movies Release! "OBLIQUITY: IMAGERY OF THE UNKNOWN"
ART Premieres Club Song "Get Down With It!" ART Premieres New Single "Centerpiece"